Learn about SalesBinder’s inventory management software for businesses. Includes info on SalesBinder, free trials, pricing, customer reviews, and FAQs. SalesBinder is an inventory management platform for businesses. SalesBinder’s solutions include barcode scanning, invoices and estimates, and financial reports. Businesses can use SalesBinder to efficiently manage inventory processes. Pros: Very easy to use and highly customizable. Cons: Limitations to reports and historical data summaries. Bottomline: Comprehensive inventory management in a reliable and integrated platform. What is SalesBinder’s price range? SalesBinder plans range from $0.00 to $99.00 per month. Is there a SalesBinder free trial? All Salesbinder’s plans include a 30-day free trial. You will need to furnish some personal and business details. No credit card is required. 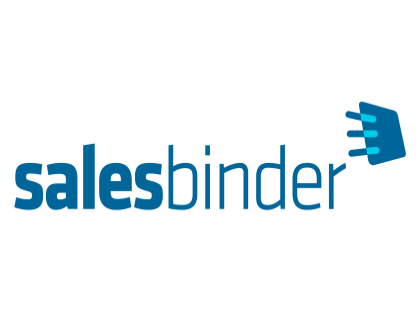 Where can I find the SalesBinder login? You can go to www.salesbinder.com and find the “Login” at the top right corner of the homepage. What are some SalesBinder alternatives? SalesBinder Scores a 5/5 star rating - great cloud-based #InventoryManagementSoftware! We use this app for our automotive tyre inventory. Works great for us. Once it gets updated to where you can do everything on the app that you do on desktop it will be 5 star for sure! It works very well and is very user friendly. We have a total of 7 warehouse locations and also use the location function for truck inventory. Thank you for a very good software!